Commemorating World War One: Lights out! A mass public event backed by the Government is being planned to commemorate the centenary and will echo Sir Edward Grey's famous epitaph "the lamps are going out all over Europe". 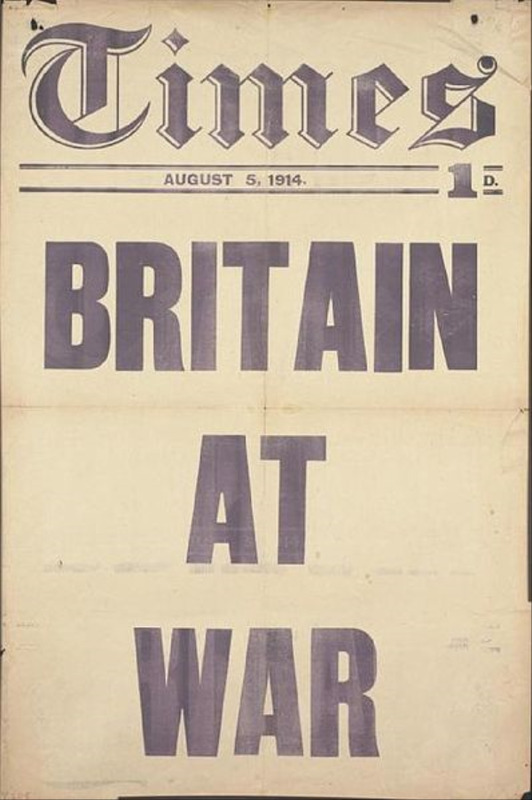 People will be encouraged to switch their lights out in favour of a single light on August 4, 2014, which will mark 100 years after Britain declared war on Germany. The ‘Lights Out’ scheme is one of a series of arts events planned to mark the centenary of World War One. People from all four nations will be invited to turn off their lights and to replace them with one single light to remember a day that changed the world forever. A Late Night Prom will precede the Lights Out event which will take place at the same time a candlelit vigil of prayer, readings and music held in Westminster Abbey. During the event, candles will be extinguished one by one until a single flame is extinguished at 11pm. “Culture is part of the fabric of British society. Ensuring a cultural element flows throughout the centenary will be vital part of our commemorations, particularly as a way of engaging young people and helping them make that connection with the past, " said Culture Secretary, Maria Miller. Germany’s Schlieffen Plan was born in response to the events that had occurred in Sarajevo in June 1914. Conscious of the great might of Russia and France, the German military hierarchy had doomed Belgium to an invasion. Britain had guaranteed Belgium’s neutrality as far back as 1839. The declaration of war on Germany was an ultimatum, led by Prime Minister Herbert Asquith, who had given Germany an ultimatum to get out of Belgium by midnight of August 3rd, 1914. The reply was in effect a rejection of the British demand and subsequently war was declared. Asquith had to make a decision — to act or not to act —this decision was one that would have a big impact on British society and its history. What would you have done? The first leg of the official cultural programme, entitled 14 -18 NOW, begins in June and will culminate on the important date in August. The programme is funded by a £10m grant from the National Lottery and £5m each from Arts Council England and The Heritage Lottery Fund. BalletBoyz: a new full-length show taking inspiration from images of the First World War. Visit: www.14-18now.org.uk for more information.